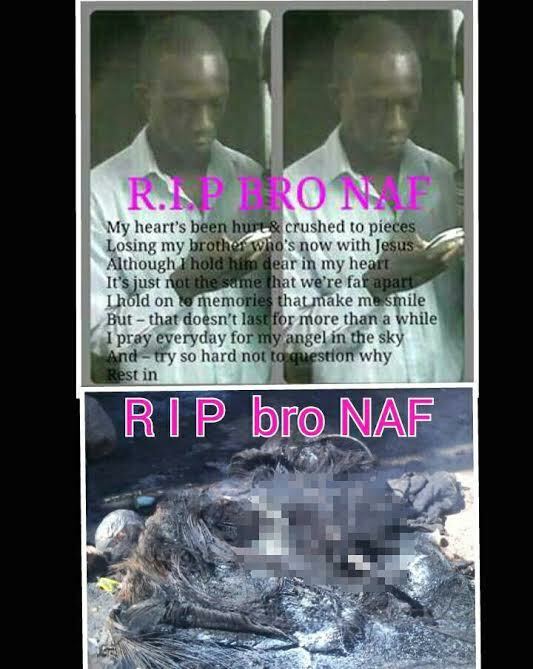 A social media user from Kayole has left many talking after he took to social media to express his grief for his brother who was burnt to death in Kayole. 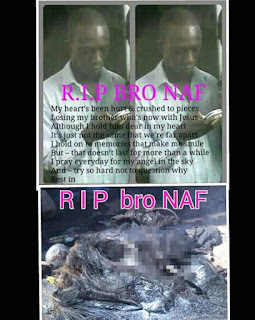 The action that seems to have pissed off his followers was when he uploaded the photo of the remains of his burnt brother. In the photo the Lad wrote a heartfelt message to express his painful feeling for losing him. Here’s the photo. Davis DE Allan: ukipatikana unachomwa na kuwekwa kwa facebook mara that that,mwizi asionewe huruma. 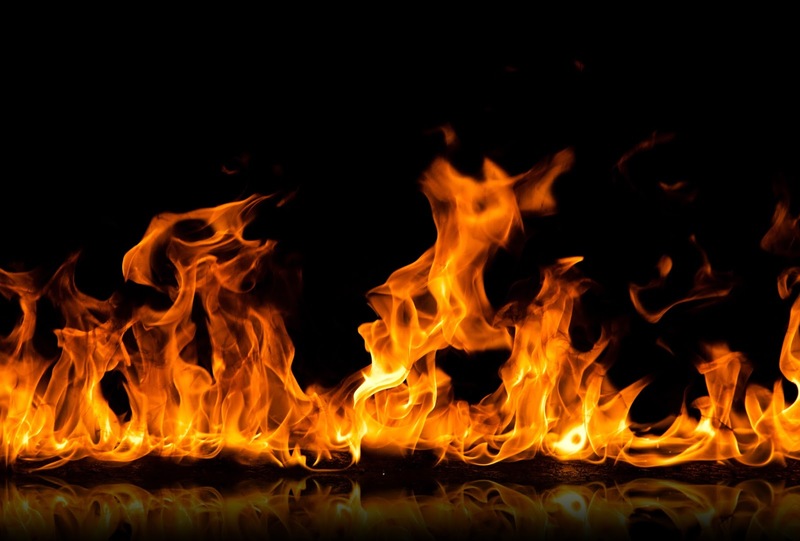 Naff Bwoom: Waaah kila siku tu mi husoma tu story za waizi kuchomwa hapa..nini mbaya na vijana wa kayole? ?